Summer is upon us and we are itching to get outside! 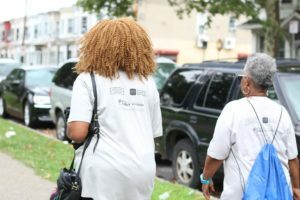 Taking a walk in one of Philly’s many parks is a fantastic way to step into spring, meet neighbors, and improve your health. 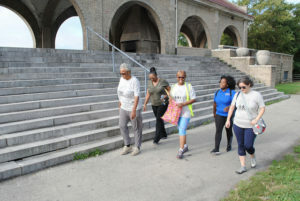 We Walk PHL, a FREE walking program in city parks brought to you by Get Healthy Philly, the Fairmount Park Conservancy, and Philadelphia Parks and Recreation. It’s effective in improving many aspects of health. Regular walking can even improve sleep and boost energy levels. It’s accessible for all ages and abilities and available just outside your door. The term “walking” includes “rolling” for people in wheelchairs or using assistive devices. Walking decreases depression, anxiety, and stress levels. It’s our favorite price – FREE! All you need are comfortable shoes and you are ready to walk. The health benefits add up. 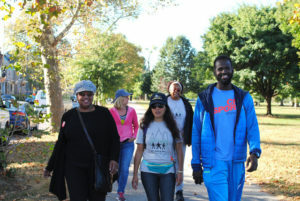 Regular walking helps you meet American Heart Association recommendations of 150 minutes of moderate physical activity per week. 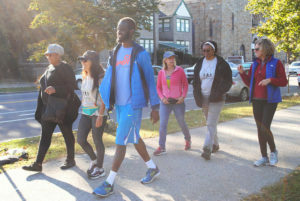 You can walk for recreation or transportation. It’s environmentally friendly – it does not cause pollution like motorized vehicles. It serves as a break from work, studying, or the kids. Taking a walk in nature helps to clear your mind. 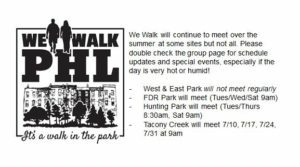 Stay on the lookout for walk schedules, meeting locations, and other relevant updates coming soon! 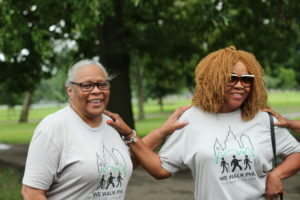 Please join the We Walk PHL public group page on Facebook or email wewalkPHL@gmail.com for more information.